Out of 'Sight' Football So real, you can almost sell Tickets! 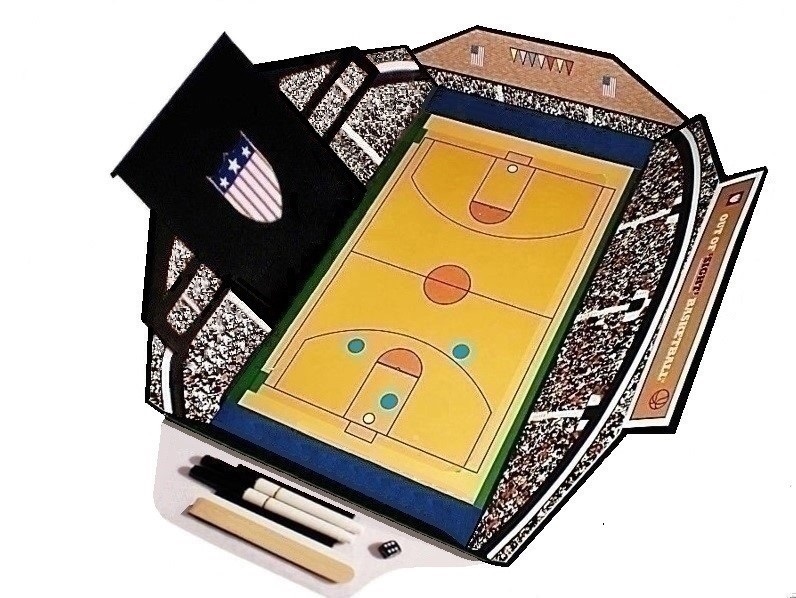 For $20 per sport, we will include rules and a laminated playing surface for Basketball, Soccer, or Ice Hockey that you can lay over the football field, PLUS two multi-color nameplates on cardstock of your favorite team or national flag (as in the Olympics) to insert behind the end lines. And with a personal computer you can create your own nameplates! 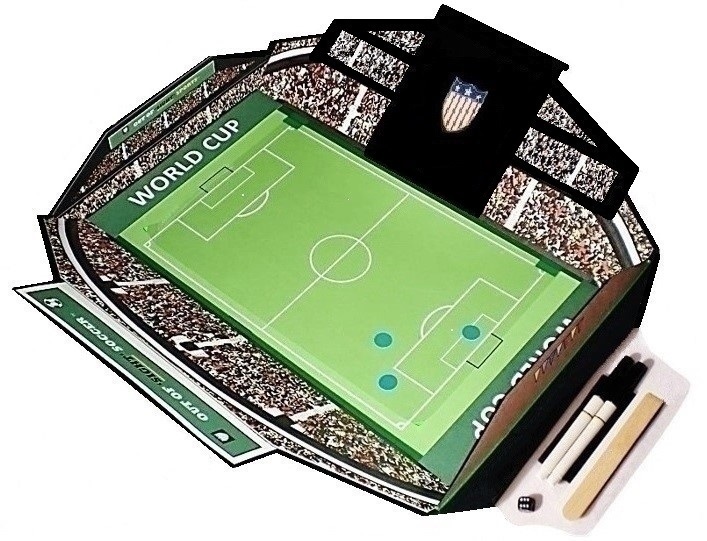 Or you can buy a complete Basketball, Soccer, or Ice Hockey game separately PLUS two nameplates of your favorite team – just $49.95! 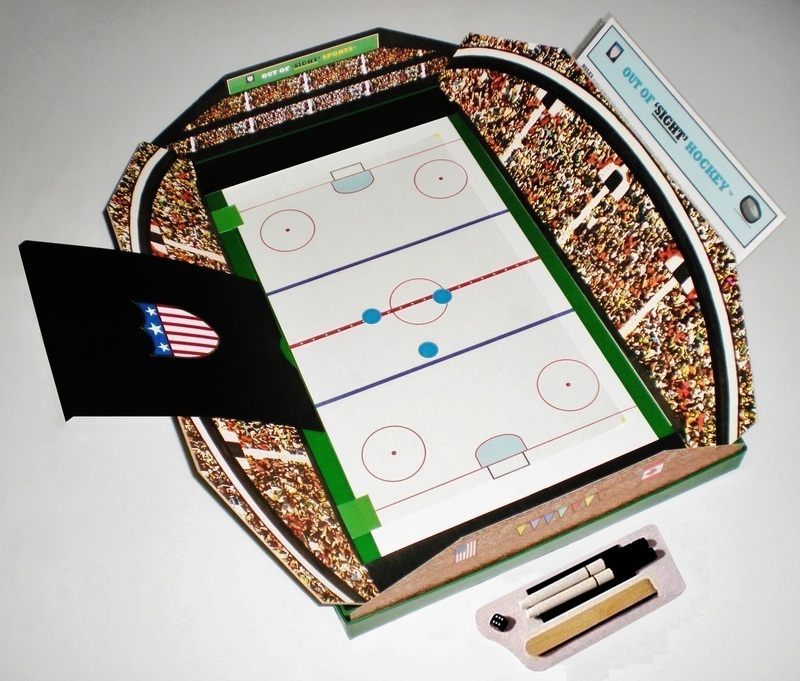 Add $20 for each additional sport’s rules, laminated playing surface, & nameplates. Available only in Dallas, TX. Allow seven days for delivery. Ages 12 and up. 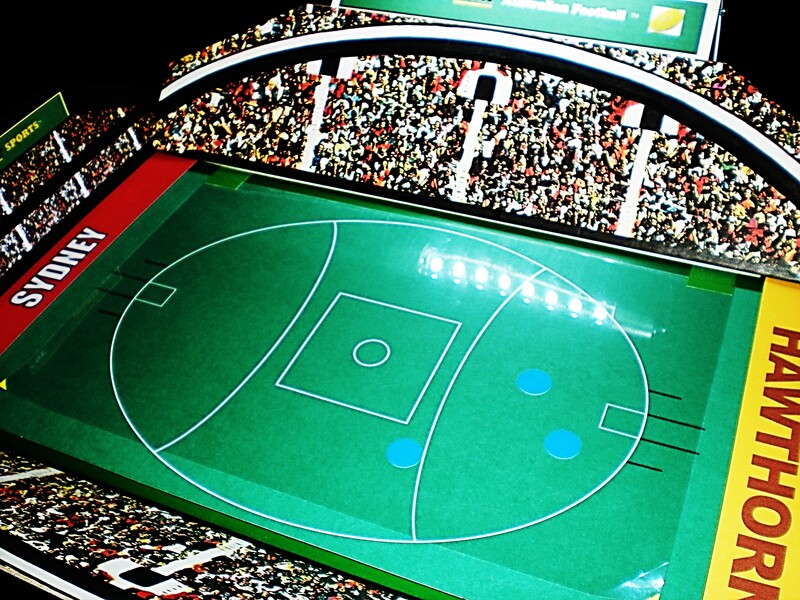 We also have Australian Rules Football, below — a fast action sport of booming kicks. Why Out of ‘Sight’ Football?